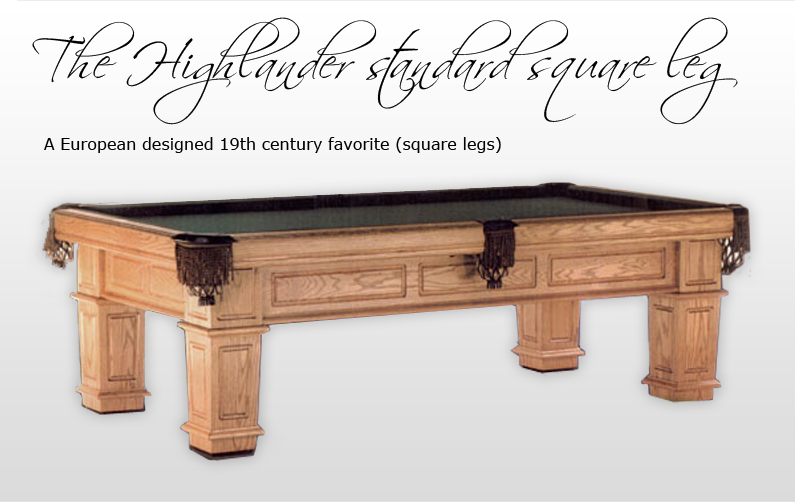 of this massive and heavy commercial style pocket billiard table. the Highlander will give you years of enjoyment and pleasure. Also available with stylish round legs. The Highlander square leg is featured in Western Maple or Northern Red Oak.